Surprisingly, the U.S. Supreme Court has agreed on March 4 to reconsider hearing a lawsuit challenging Obama’s eligibility under the Constitution to be President. In January, the Supreme Court, in conference, denied without comment the original request to hear arguments in the case claiming that Obama is not a “natural born” citizen as required under Article 2, Section 1. However, attorney John Hemenway repetitioned the Court stating that it had not responded to his motion, as required by law, that Sotomayor and Kagan recuse themselves from voting on the petition. In his motion for recusal, Hemenway argued that since Obama had appointed Sotomayor and Kagan to the Court, this created a potential conflict of interest and they should not vote on whether or not to hear the case regarding Obama’s eligibility. 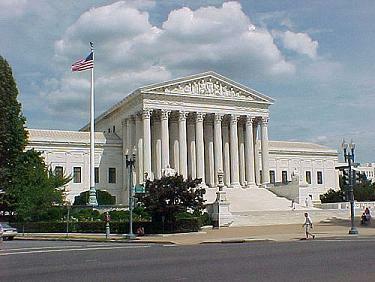 In repetitioning the Court, he stated that the Court was obligated to respond to his recusal motion within ten days if it had opposed, and since the Court had not responded that meant there was no objection to the motion and Sotomayor and Kagan should have recused themselves from voting, which they didn’t. Hemenway’s case, Hollister v. Barry Soetoro, et al (Soetoro was Obama’s stepfather’s name and the name he had as a boy in Indonesia), is one of the oldest working its way through the court system and has the distinction of not having been denied by lower courts for “lack of standing,” which has ended other eligibility lawsuits without being heard. Last year Supreme Court Justice Clarence Thomas stated before a U.S. House subcommittee that the Court was avoiding consideration of Obama’s eligibility. Hemenway stated in his petition for rehearing, “To continue to avoid the issue will destroy the constitutional rule of law basis of our legal system when it is under vigorous assault as surely as if the conscious decision were made to cease preserving and protecting our founding charter.” On March 4 the Court has another chance to consider its decision. Veteran attorney John D. Hemenway has petitioned the U.S. Supreme Court to reconsider their decision to hear his lawsuit challenging Obama’s eligibility under the Constitution to be President. The Court denied to hear the case, without comment, last month. However, Hemenway states that since the Court did not respond to his request that Sotomayor and Kagan recuse themselves from consideration of hearing the case that the Court by default agreed they should recuse themselves, which they didn’t. Like most of the other lawsuits challenging Obama’s eligibility to be President, the case claims that Obama does not meet the requirement under Article 2, Section 1, that the President be a “natural born” citizen, which is usually taken to mean that both parents are American citizens. Obama’s father was a British subject from Kenya and his stepfather, who some say adopted him, was Indonesian. All of the lawsuits have requested that Obama provide an official, long-form birth certificate proving he is a “natural born” citizen, but Obama has steadfastly refused to do so and has even gone so far as to deny access to all of his school, college, and law school records, as well as his passport records and civil service records from when he was an official in Illinois. It is estimated that he has spent nearly $2 million to keep his records secret from the public. 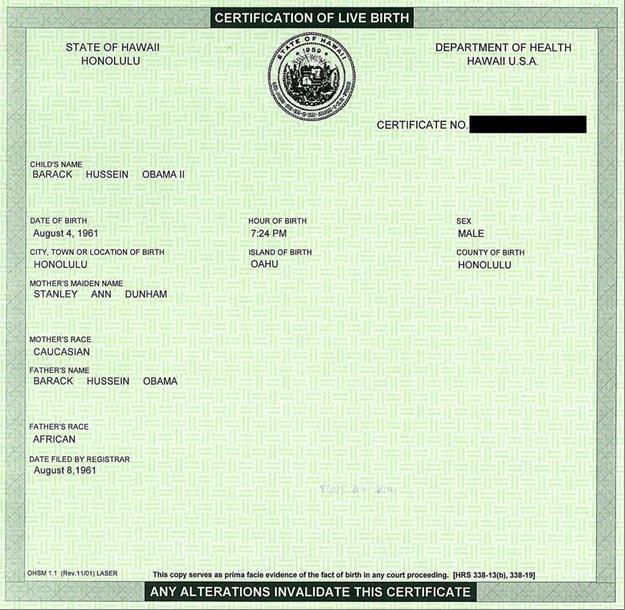 Some have claimed that the Certification of Live Birth his campaign posted on the internet proves he is a citizen, but as Hemenway and others have pointed out, that certification was available simply on request in Hawaii back in those days, even to non-citizens, and that certification is not the same as a long-form birth certificate. Others have pointed out that independent forensic analysis of the posted document shows it has been photoshopped and is likely a forgery. Further questions arose recently when the new governor of Hawaii, Neil Abercrombie, sought to end the controversy by producing Obama’s official birth certificate, but failed to find the document in Hawaii’s Department of Health vital records. In addition, a former Hawaiian election official swore under affidavit that he was told by his superiors that no birth certificate for Obama existed in Hawaii. 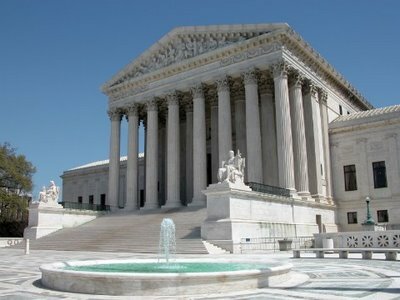 Whereas it would seem reasonable that the U.S. Supreme Court would think it its duty to consider the constitutional question of the eligibility of a person to be President, Supreme Court Justice Clarence Thomas admitted to a U.S. House subcommittee that the Court has been evading the issue. The questions raised in this and similar lawsuits go beyond deciding if Obama is constitutionally eligible to be President. The real matter before the Court is: Are we a country still governed under the “rule of law” or not? Hemenway’s lawsuit claims that if this matter is not resolved by the rule of law, then we have destroyed the constitutional basis of our legal system.